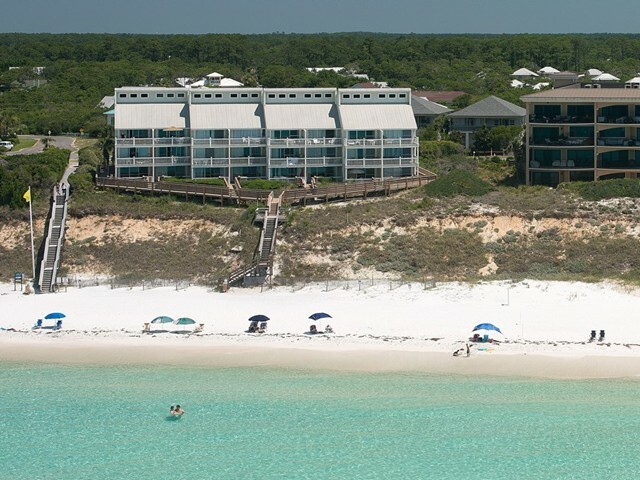 Mistral, located on the high dunes at Seacrest Beach in South Walton is an intimate Florida vacation retreat with awesome gulf-front views! This low-rise beachfront condo complex is perfect for couples and families looking to get away from it all. All vacation rentals at Mistral feature panoramic views of the emerald waters and sugar white beach sand of Northwest Florida’s Gulf of Mexico. Stroll along the sugar white sand beach or enjoy the many amenities Scenic C-30A has to offer including unique shops and restaurants in nearby Rosemary Beach and the biking/hiking path. Families, couples and individuals who are looking for an excellent place to enjoy life and have an excellent vacation will quickly discover that Seacrest Beach is the place to be. Located on 30A, the beach boasts of a pristine surface that locals appreciate. Many families like to visit shops at Rosemary Beach or Village of South Walton. For people who want to go shopping but may not feel up to walking, keep in mind that Tram Service offers free transportation for people to want to go to and from the area to various shopping adventures. Restaurants and dining establishments in the area serve a wide variety of food that everyone in the family can enjoy. Fish that has been locally caught is frequently on the menu. Furthermore, there are burgers, salads, fresh fruit and cold ice cream. While shopping is definitely a fun adventure, an amphitheater is available for the community to enjoy as well as a beach tram that is in service during various parts of the year.